How gorgeous would your outside space look with a smattering of dainty pink flowers from September to November? 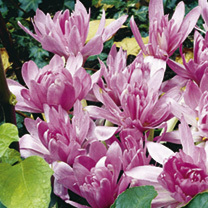 Our colchicum bulbs produce the perfect pink winter flowers, and they’re easy to care for to boot. You can look forward to double pink blooms that turn heads, and they’re a great way to add a touch of something colourful to your winter garden. If you’ve been thinking about giving naturalising a go, these are perfect. A lovely way to achieve some bright white blooms when the colours of summer are dormant, we love colchicums. 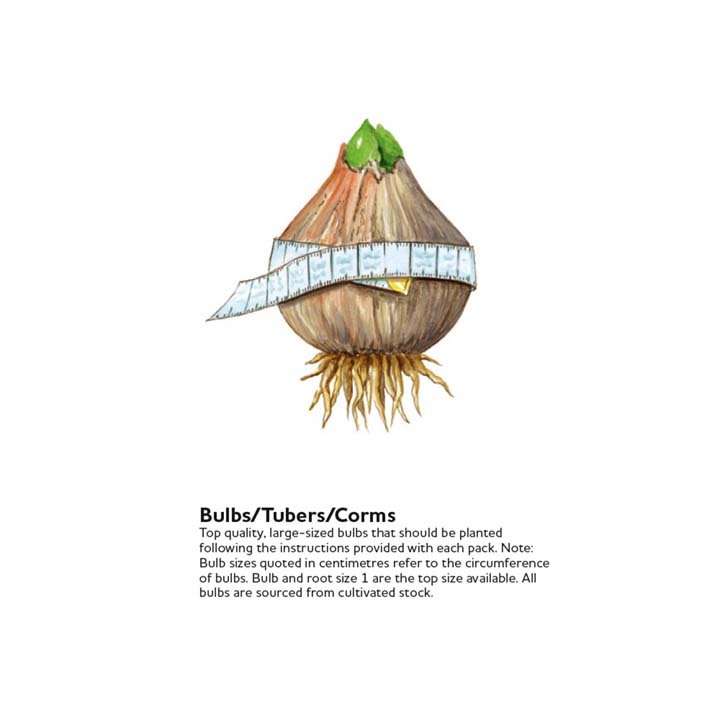 One bulb can produce up to eight of those double blooms, and their dainty pink shade adds a magical touch to your garden. 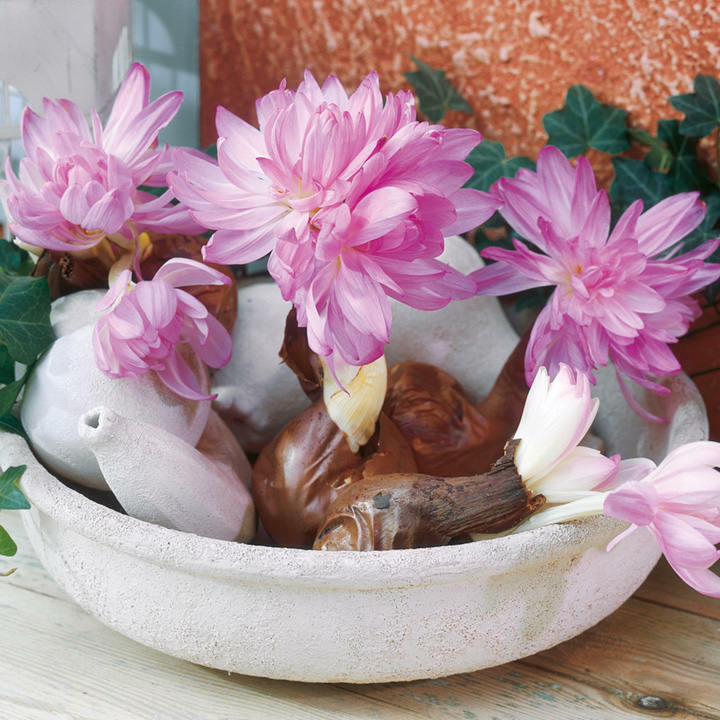 If you prefer to enjoy them indoors, grow your colchicum bulbs in a shallow container indoors – you won’t even need any soil! Flowers September – November. Height up to 30cm. Waterlily - Big double white blooms - as many as 8 per bulb! Bulb size 14cm+.